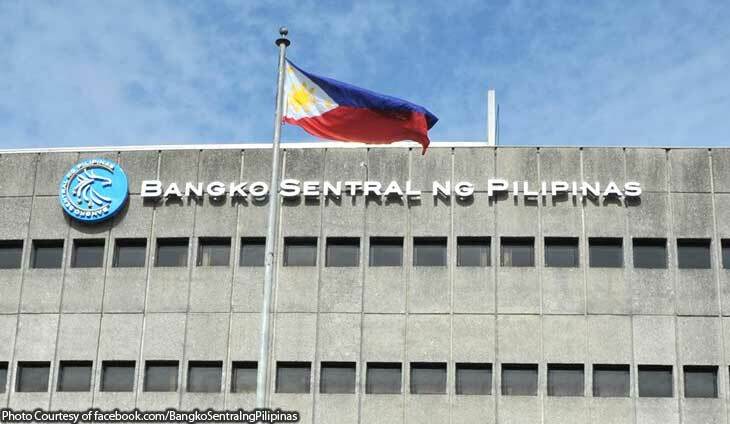 The Bangko Sentral ng Pilipinas’ (BSP) is expected to cut key policy rates by May this year after slashing inflation forecasts for 2019 and 2020. In a report Thursday, ING Bank Manila senior economist Nicholas Mapa projects the central bank’s policy-making Monetary Board (MB) to cut the BSP’s key rates by May after increasing rates by 175 basis points in 2018. Last year’s rate hikes were implemented to address possible second round effects of elevated inflation. Rate of price increases peaked at 6.7 percent in September-October last year and has since posted lower figures, with inflation in January dipping to 4.4 percent. The MB on Thursday cut the BSP’s average inflation forecast for this year from 3.18 percent during the rate setting meet of the Board last December to 3.07 percent. For next year, the forecast was adjusted from 3.04 percent to 2.98 percent. “Now that the inflation threat appears safely in their rear-view mirror, we can see the central bank easing off the brake pedal ever so slightly by cutting rates in May after reducing RRR in 1Q,” Mapa said. “With growth expected to teeter close to the edge of 6 percent given the recent budget delay and with the inflation objective safeguarded, perhaps BSP may finally opt to give the economy an added boost to regain flagging growth momentum,” he added. the shift towards a market-based implementation of monetary policy and the financial market reform bid. Relatively, Capital Economics, in a report Thursday, said a May 2019 downward adjustment in the BSP policy rates is possible on expectations that inflation will continue to post slower growth. “We have penciled in the first 25bps rate cut at the Bank’s meeting scheduled for the 9th May, and expect a total 50bps of loosening by end-2019,” it said. The report cited that rate of price increases is projected to decelerate further on expectations that the proposed rice tariffication bill will be signed by President Rodrigo R. Duterte soon and will result to decline in domestic rice prices. It also noted that despite the recent upticks in global oil prices the year-on-year change points to a downward path, thus, fuel price inflation is seen to post lower figures in the coming months. Holding the budget hostage won't do good for anyone. Inflation is on its way down, but not convincingly enough to cut rates. Rates will go even higher starting Friday, Nov. 16.